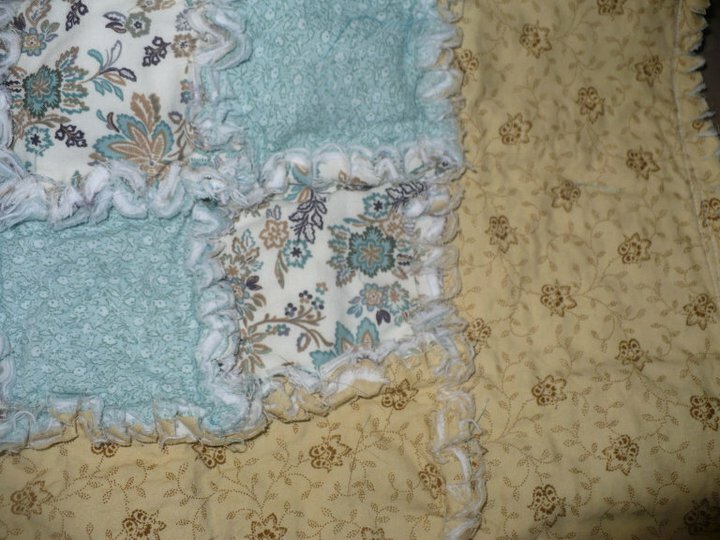 Beautiful quilt... my baby would LOVE it! i actually LOVE the colors. =) Matches my living room. I also am a fan of 3G on facebook. Ok trying this again...I cannot seem to post a comment! Am I too late? Is that why? Oh well! It's very cute! I also am a fan of 3gals quilts on facebook. I don't blame your little girl, I wouldn't want to give up the quilt either. I follow 3 Girls reviews, and 3 Gals Quilts on facebook. Love those! My older kids have handmade blankets. My baby needs one now! I follow three girls on facebook. I follow three girls on twitter. I follow 3 gals on facebook. I follow three gals quilts on facebook. Seriously, I swear the blue flower fabric looks like an exact match to my comforter. As is in the cut up a comforter for that fabric and made it to match my room exacta mundo. Really this should just be given to me! I follow everywhere! My sister is preggo and this would be perfect! 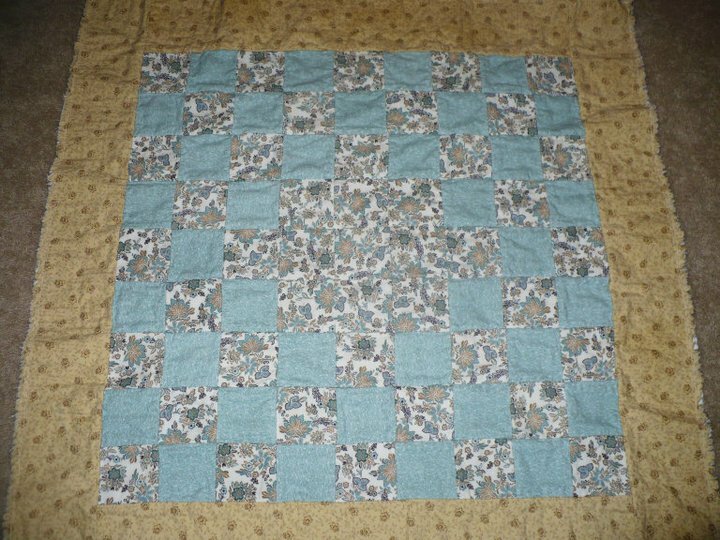 What a wondeful gift this would make for my grandaughter for a keepsake.Nothing like handmade items just like grandma use to make. Fan of 3Girls review on FB! 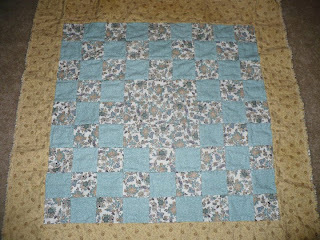 Fan of 3 Gals Quilts on facebook! 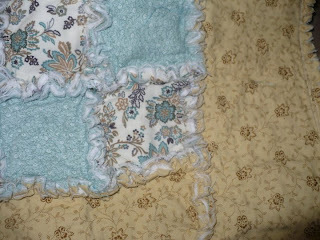 Fan of 3 Gals quilts on facebook and just started following this blog! WOW! There's lots of comments! Nice stuff here!! !